A Fort Worth man died last week after an electronic cigarette he was using exploded, cutting a major artery in his neck, according to the Tarrant County Medical Examiner. William Eric Brown, 24, died Jan. 29 at John Peter Smith Hospital due to "penetrating trauma from exploding vaporizer pen," the medical examiner said, noting shrapnel from the blast severed his left carotid artery. The report did not identify the brand of electronic cigarette or offer other details. Brown's grandmother Alice Brown said he told her he was going out to buy some vaping products. "He said, 'I'll be right back granny,'" Alice Brown said. Brown was sitting in his car in front of a vape supply store on the 4500 block of Golden Triangle when his pen exploded, Alice Brown said. An employee at the store said Brown never entered the store and declined to comment further. The medical examiner's website listed the store as the location where the incident occurred. Brown was rushed to the hospital and his grandmother said he was talking when he arrived. He died several days later after doctors had difficulty removing a three-inch piece of jagged metal from his head, she said. "Now he's got a new address in heaven," Alice Brown said. His grandmother said Brown was a certified electrician and took "good care" of her and her family. Alice Brown said what happened to her grandson should serve as a lesson of how dangerous vaping pens can be. 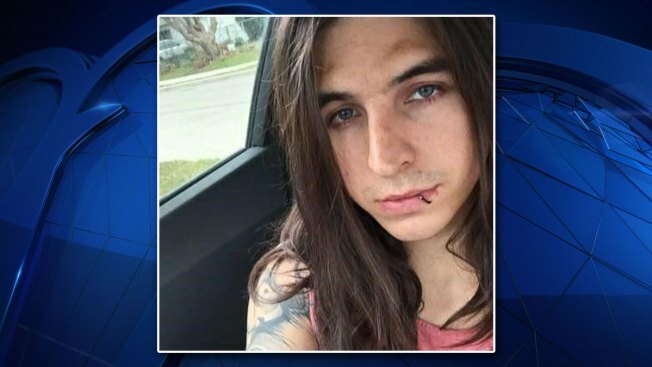 Brown is believed to be only the second person to die in the U.S. from an exploding vape pen. In May, a Florida man died from a "projectile wound to the head" after an electronic cigarette exploded, according to The New York Times.